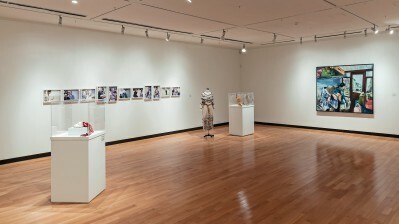 Each year BMO 1st Art!, a national competition celebrating visual arts excellence in post-secondary institutions from coast to coast, receives hundreds of submissions from across the country. 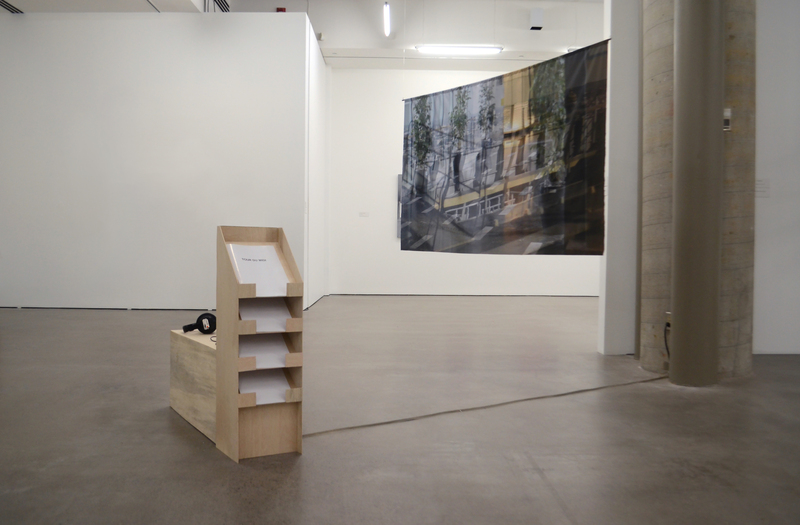 Of the record number of 303 entries received this year, 13 winners (12 regional and 1 national) were selected, all of which will have their winning works on display at the University of Toronto’s Justina M. Barnicke Gallery beginning November 16 through to December 17, 2017. Representing the next generation of Canadian artists, BMO 1st Art! is a unique opportunity to showcase one’s creative work on a national platform. Beyond personal recognition, the competition awards the national winner a $15,000 prize, while the regional winners from across Canada each receive a $7,500 prize. Inspired by tradition, identity, environmental issues and more, here are the winning pieces from 13 young Canadian visual artists to watch. Jessica Petersen’s piece, Overripe, is an 8ft by 8ft oil painting created using dozens of layers of paint; the first two panels from a nine-panel painting. Completed over a four-month period, the work is an attempt to visually represent the physical sensation of overindulgence. Jessica sought to address how the body works as a tool to understand the world around us, rather than the body being a signifier of identity. 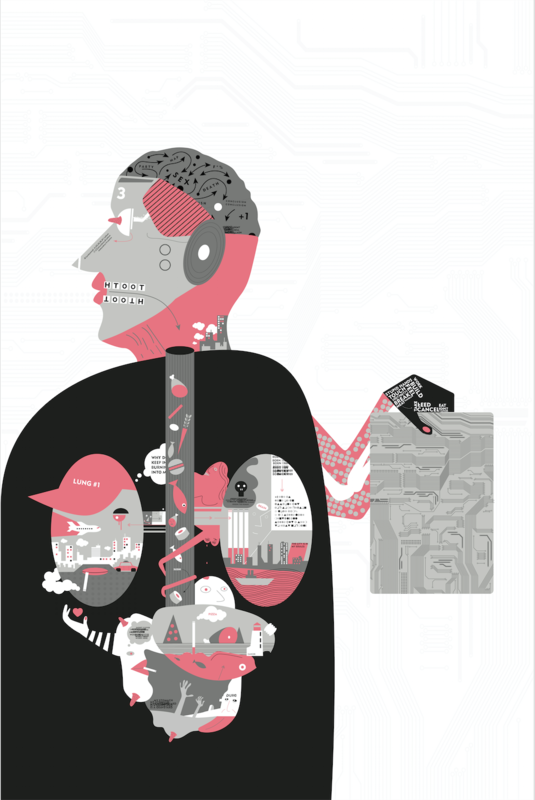 Aidan Searle’s piece, A Year In Review, is a digital print depicting his financial, cognitive, and social triumphs and struggles during his second year of art school. Created using Adobe Illustrator, Aidan sought to transition a more familiar style of painting into a more digital medium, using this method for sharing his personal challenges and transitions over the span of time. You can see more of his work here. 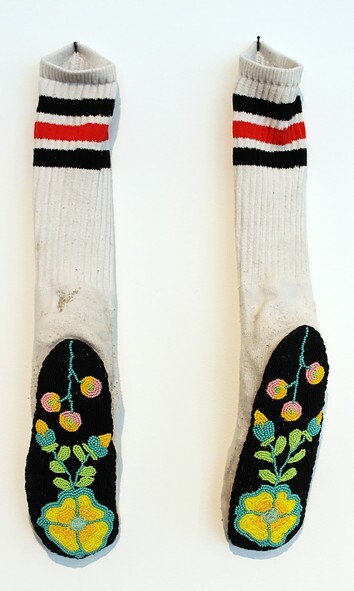 Audie Murray’s piece, Pair of Socks, is a pair of commonplace socks adorned with floral beadwork on the soles, hung up on a wall, which took two months to complete. Inspired by the craftwork of the people of her nation – the Métis – the piece raises social and environmental questions around power structures. You can see more of her work here. 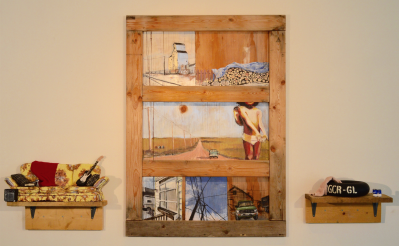 Kayza DeGraff-Ford’s piece Landscapes: Brown Kids From The Prairies, is a mixed-media piece exploring the different landscapes of youth and intersectional identities growing up as a minority in a small town in Canada – both the fond and complicated. 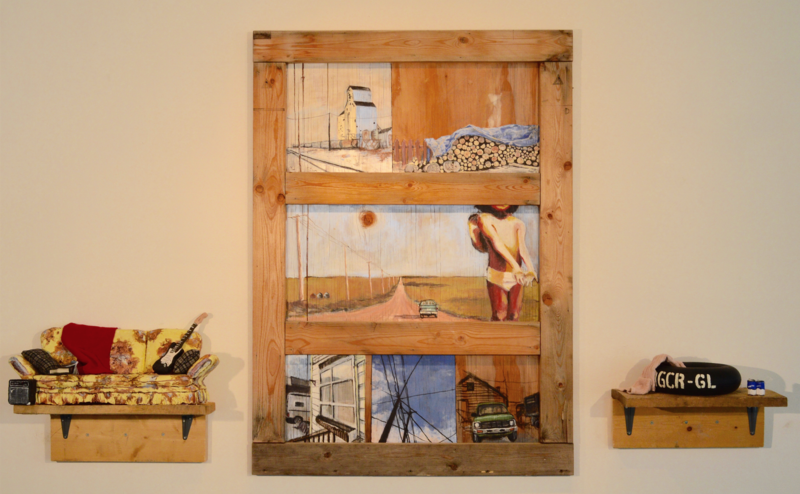 Created using a combination of pre-existing objects, painting, and sculpture, the piece intends to invoke feelings of nostalgia in the viewer. 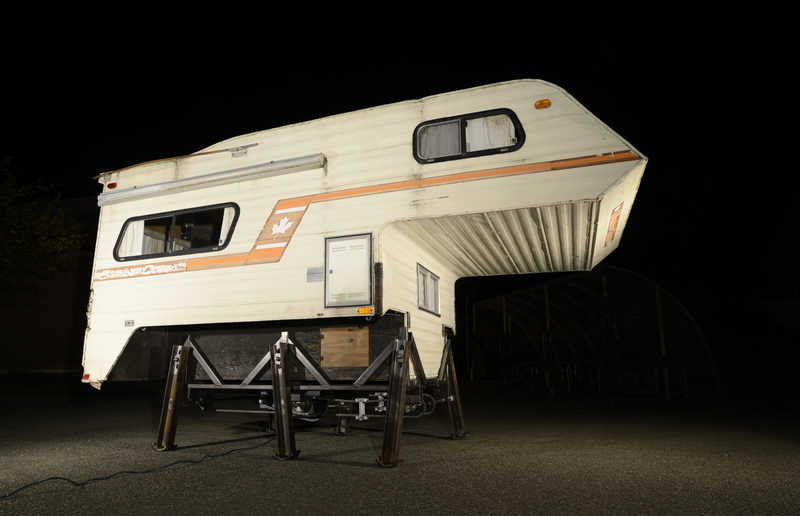 Xiao Xue’s winning piece, Something to Ponder On: A Walking Camper, is a large-scale kinetic sculpture consisting of a 1760-pound truck camper hugged by a custom-made walking platform. Spending many months of research, fundraising, and construction to create, the piece is the result of Xiao’s lingering consideration regarding human-made parasitic relationships and unnecessary waste on a global scale. You can see more of Xiao’s work here. 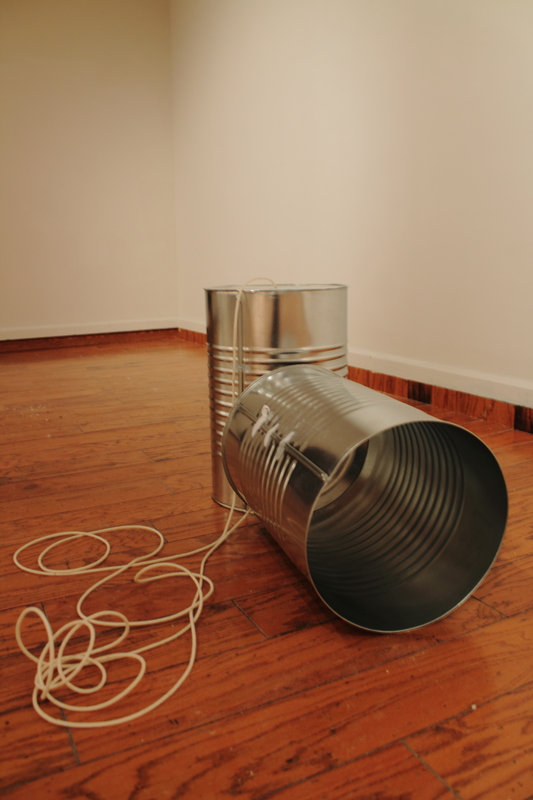 Lauren Brinson’s piece, Small Talk, is a set of large-scale tin can phones built as a monument to verbal communication’s simplicities and complications. Reminiscent of the tin can phones used in childhood, the piece highlights the comfort and nostalgia associated with these simple hand-made tools for communicating. Built with help from a local metalworking shop, the tin can phones are not only visual, but functional as well; viewers are encouraged to physically interact with the piece. You can find more of Lauren’s work here. Dylan Cameron’s piece, Limerence, is a dyed denim tapestry examining questions of identity from an interdisciplinary perspective. 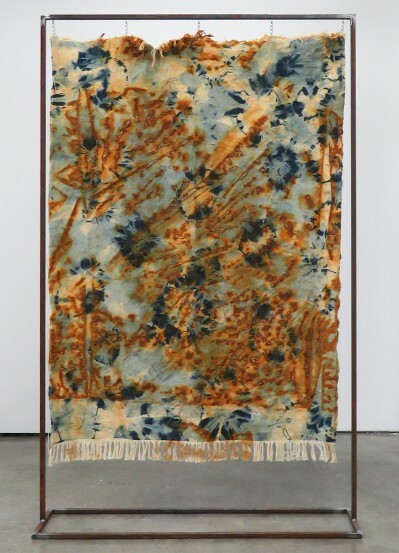 Created using do-it-yourself processes like bleaching and rusting, the piece considers the way that denim is a loaded material that embodies associations with American idealism and punk subculture. The piece is part of an ongoing exploration for Dylan into material strategies related to punk subculture and working class masculinity. You can view more of Dylan’s work here. Chelsey Thiessen’s piece Monument, Relic I, and Relic II, is a collection of ceramic replicas of paper re-examining failure as a point of value. The meaning of the work comes through the transformation of material, from something that is typically thrown away to something that is considered valuable. Chelsey created the piece by using coloured slips (liquid clay) and casting paper, which later burns away in the firing process. Using the slips in place of ink, Chelsey would silkscreen the lines and text onto the pieces. James Fermor’s piece, The Collection No. 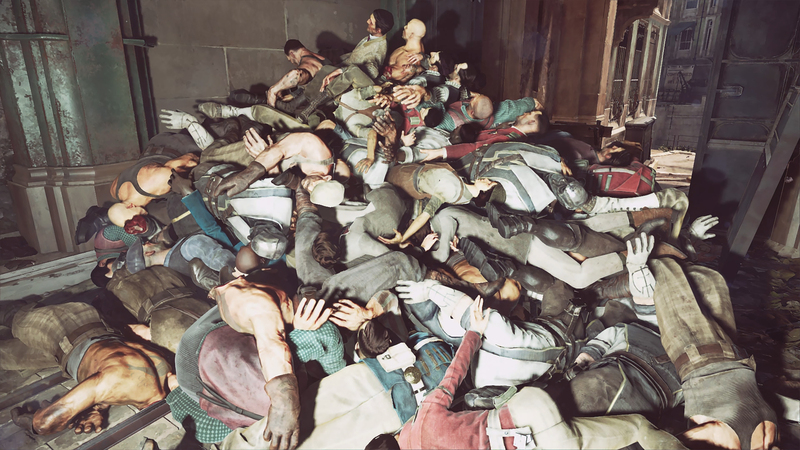 3, is a photo print created in the digital space within video game, Dishonored 2, depicting all non-player characters of the level collected into a single pile. Experimenting with possible actions that the game’s design made possible, but may not have been intended by the game’s designers, the piece explores perceptions of the realities presented to us within digital space. More so, the piece is meant to provoke thought on how we confront imagery that could be seen as disturbing. View more of James’ work here. 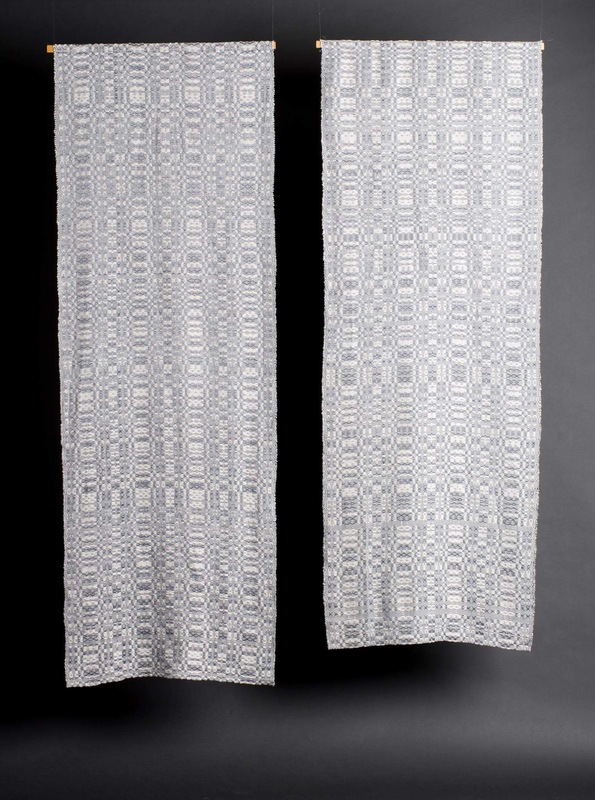 Emily Blair’s piece, Hypothermia, consists of two panels of woven cloth using overshot weaving structure. The meaning of the piece is rooted in its relationship to the poetry it is derived from. Two poems were written for the purpose of this project and were translated into cloth using a method called block translation. 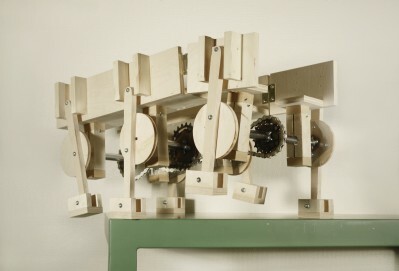 This method involves written words being converted into cloth by assigning the alphabet to blocks that are related to harnesses on the loom. The colours and materials are inspired by the theme of the poems, the white threads creating an illusion of snow drifts with the dark and silver undertones speaking to the beauty but also the danger of cold climates and snowy weather. 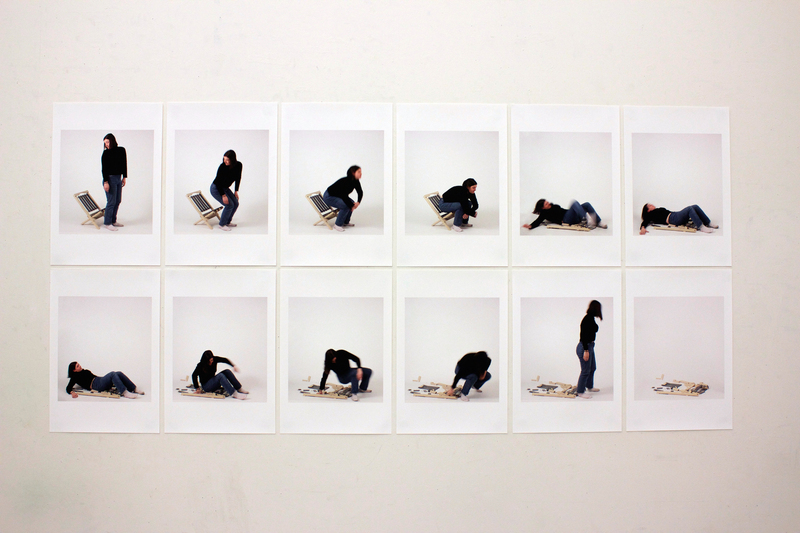 Annabel Biro’s piece, Story of a Chair, is a ceramic two-piece portable beach chair set up in front of twelve sequential photographs depicting a person breaking a similar ceramic chair by sitting in it. 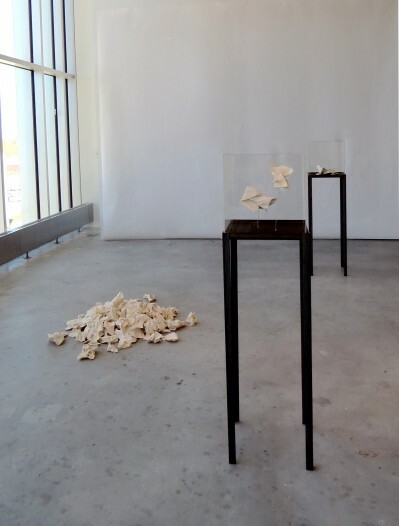 The piece explores the anticipation of material, and how materials are visually absorbed to create expectations of function. Annabel seeks to challenge people’s perceptions of ceramics and functionality through her work. You can view more of Annabel’s work here. Laure Bourgault’s piece, Tour du midi, is a multi-media installation based on a promotional brochure produced during the construction of the Tour du Midi (South Tower) in Brussels, Belgium. First conceived during Laure’s student exchange in Brussels, the installation incorporates a replica of the document display, an audio recording of a Belgian-accented voice reciting a revised text of the brochure, and a fabric panel on which two superimposed photographs of the tower are printed. You can see more of Laure’s work here. Anne Qammaniq-Hellwig’s piece, Traditional Qaurutik, Transition Qaurutik, and Adaptation Qaurutik, is an Inuit headband set showcasing different eras of Inuit life, from more traditional to more modern. Crafted using copper, seal bones, and black beads, the first qaurutik represents the traditional way of Inuit life. The second qaurutik represented the transition and change of lifestyle that began once the settlers arrived. Created used sterling silver, freshwater pearls, and elastic, the final qaurutik symbolizes modernity and celebrates the continual adaptation of the Inuit people’s way of life and traditions. Intrigued by what you see here? 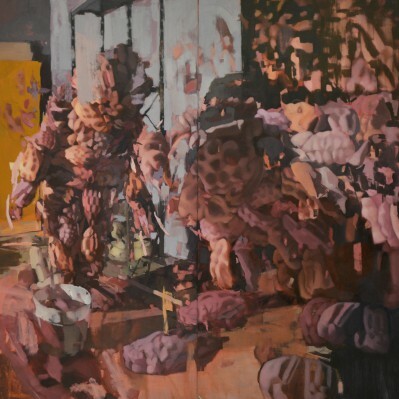 Stop by the Justina M. Barnicke Gallery located at 7 Hart House Circle at the University of Toronto, from November 16 to December 16, to view the works.